Helix, a cloud-based clinical software solution from MedicalDirector, allows Samy Medical Group’s doctors to deliver care to patients, wherever they are. As the software is not reliant on a locally hosted server, Samy Medical Group has been able to offer a flexible, streamlined and personalised approach to patient care. And the results speak for themselves. Samy Medical Group has successfully obtained RACGP accreditation, after demonstrating how Helix has helped facilitate the practice’s ability to enable better patient outcomes. Prof. Dr Martin Samy and his daughter, Dr Christabel Samy, moved to Australia from the UK with a vision to deliver care to those that need it most, when and where they need it. Their practice, Samy Medical Group, offers care to patients in nursing homes, aged care facilities and eventually homeless shelters. To achieve this vision, Samy Medical Group needed to start its operations in the cloud, to ensure all flexibility and security needs were met from the very first consult. Samy Medical Group had specific software needs, but finding a solution that met all of them was a challenge. Cloud-based software was not readily available in Australia, as compared to the UK. Many Australian software solutions rely on a locally hosted server, which do not provide as much flexibility. Without cloud-based software, GPs are required to consult in the field, and then complete the data entry for consultations at the practice. As a small practice, with a team of roving doctors, Samy Medical Group did not want this burden, nor could it afford the additional admin hours which would be better spent treating patients. The software needed to allow doctors to start and finish a consult on the move, through remote access and ease of use. The clinical practice management solution needed to be easy to use and enable a positive patient experience; from booking to the time the patient recover. "Having come from practicing in the UK to Australia, I do feel Australia is very far behind in the uptake of cloud," Prof Samy said. 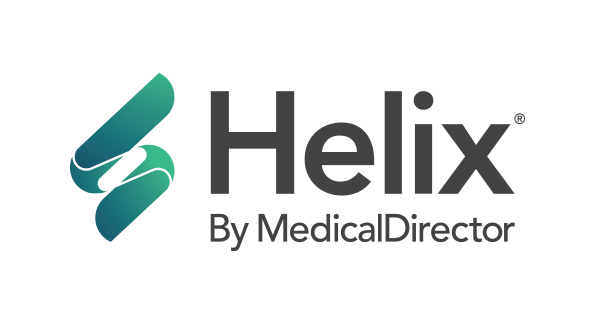 "So it’s refreshing that MedicalDirector offers the power of true-cloud through Helix. And even though I knew Helix was at its early stages of development in 2017, I was willing to be one of the first to implement it." "Going with a company like MedicalDirector who has been in the business of patient management software for a long time and has existing reliable solutions was important to me." Helix by MedicalDirector, a cloud-based clinical software solution, met all the requirements to allow Samy Group to meet their goals. "The integration and the seamless approach Helix offers makes my life so much easier," Prof Samy added. "When a patient wants to see a doctor, you need a system like Helix to book and manage the appointment – and a solution like Helix plays a crucial part in user accessibility and good information management practice." For instance, when the patient visits Samy Medical Group (SMG) in Rockingham, Helix allows the reception to search for and enter the patient information smoothly and easily. While the patient waits, the reception is also able to monitor waiting times through Helix. If the waiting time is longer than ten minutes, the reception can offer the patient tea or coffee enabling a better patient experience. Meanwhile during the consult, Dr Samy needed a tool to enter all the patient information as smoothly as possible. Again, Helix plays a crucial key role, as it can quickly and easily identify issues, make recalls, referrals, care plans, identify medication records, and more. And once the patient leaves, Helix facilitates the recalls and reminders in Prof Samy’s practice. "Without Helix, I couldn’t run my medical practice. I could have the most beautifully painted and decorated practice, but without the power of Helix, my practice wouldn’t be able to function." Moving forward, Prof Samy is also passionate about leveraging technology, like Helix, to deliver care in new ways. "In the future, we aim to provide consultations remotely via smart devices," he added. "If a patient wakes up unwell, we want them to be able to receive the care they need via their smartphone without the inconvenience of hunting for an appointment and travelling to a practice. Only Helix has allowed us to deliver care outside the practice, and will allow us to deliver it remotely in the future." The Samy Medical Group is now the first medical practice to have successfully achieved RACGP accreditation after implementing Helix. "In an accreditation process, there is emphasis on the efficacy of the IT infrastructure behind the medical practice, when the RACGP came to us, they simply could not fault Helix," Prof Samy explained. "The practice runs on home-based computers which has relatively low memory. This is because I have everything on the cloud such as Office 365, OneDrive, Dropbox and Helix that controls patient management, from the time patients book an appointment, to the time they recover." Prof Samy also highlighted during the accreditation process that Helix runs securely on the robust Microsoft Azure platform which meets international standards in privacy and security. "And when we talked about updates, I highlighted it’s all done automatically and seamlessly without requiring an IT person to come in," he said. One of the key factors to achieving accreditation was demonstrating sound clinical risk management, which Prof Samy’s daughter, the principal GP, Dr Christabel Samy was able to demonstrate using Helix. "Helix leverages the power of SNOMED, which means you can easily write and record clinical notes," Dr Samy said. "However, what we also wanted was the ability for the software to help generate real-time reporting and excel files, to help us analyse the various health conditions and generate reports according to various data sets like age, gender, demographics, COPDs, CPDs, allergies." Prof Samy highlighted how MedicalDirector works very closely with its customers to validate proof of concepts, and in this case, it was a clinical report that helped manage patients at risk within a medical practice. "MedicalDirector was able to work closely with me to offer that real-time reporting feature as a proof of concept. When I showed the RACGP accreditation this process, the auditors were very impressed. I do believe this was the ultimate deal clincher for successfully gaining the RACGP accreditation. Because of Helix, we are able to make significant cost savings and give back to the community through bulk billing and other social activities." As a true cloud-based solution backed by more than 20 years of industry and technical experience, Helix offers a highly integrated and streamlined solution to free up more time for practitioners to deliver patient-centric care. Hosted on the industry-leading Microsoft Azure platform, that meets strict international standards in privacy and security, Helix also offers automatic software updates and seamless deployment, ensuring sensitive patient data remains protected at all times. Whether a GP is at their practice, or treating a patient remotely, the secure platform is accessible anywhere and on any device, ensuring the patient experience is seamless from the moment they book an appointment, to the moment they recover.